We like to think that Wild is far more than a business. And organic - like Wild - is about the relationships that we have with our concerned customers, our hard working farmers, our wonderful staff and of course our planet Earth. Our farmers are exceptionally committed to organic farming and go to great lengths to ensure that we receive their best produce. Our organic farmers work in sync with nature. They build the soil, have respect for water resources and work hard to maintain diversity. 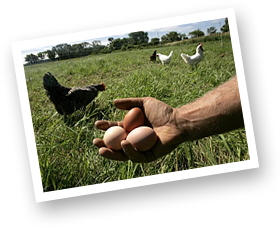 They treat livestock ethically and humanely, looking after the physiological and behavioural needs of their animals. One of our rules is that animals must be given plenty of space and fresh air to thrive, grow, and live a genuinely free range life. All of our veggies and fruit are farmed without the use of synthetic fertilisers, herbicides and pesticides. Livestock is treated ethically and humanely: there is no routine use of antibiotics and hormones and their physiological and behavioural needs are met. One of our rules is that animals must be given plenty of space and fresh air to thrive, grow, and live a genuinely free range life. 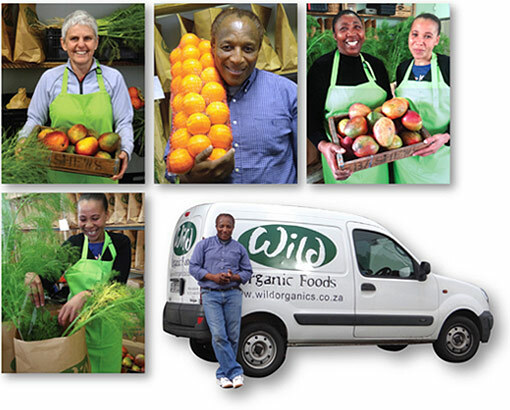 As far as possible, our produce is sourced locally, packed in packaging that is in line with organic principles while keeping storage and transportation to a minimum. We will always be more than a business. We value the relationships with both our customers and our producers.